Odessa is the holder of several awards and distinctions as a Young Leader: Young Leader for Europe at the European Commission’s European Development Days 2017; European Forum Alpbach - as an Erste Foundation Fellow, Advisor on the UNSC Resolution 2250 on Youth, Peace & Security at the European Regional Consultation in Brussels; Juror for the Innovation in Politics Award, and others. Odessa is regularly invited to Brussels by EU institutions as an expert on migration and new media. Odessa has spoken for the Joint Research Center, the EESC and other European Commission directorates, UN Liaison Office and other institution’s consultations and meetings. Until January 2017, Odessa worked with various Non-Governmental Organisations and initiatives responding to the 2015/16 Refugee and Migration situation in Europe and in Lebanon. Odessa graduated in Global Politics and International Relations from Birkbeck College, University of London. She holds a place on multiple boards including the Global Arena Research Institute, Czech & Slovak Club Alpbach, and Global Shapers - World Economic Forum. A Global Shaper of the World Economic Forum in Prague, Justine is the Founder and President of Child Zero, a non-profit organisation which seeks to end illiteracy in Filipino children. Since starting the organisation in 2014, Justine has created projects, visited operations, and engaged citizens in being part of the movement. She spearheaded the Backpack Project and was able to distribute 1000 backpacks with school supplies in underserved communities in Mindoro, Philippines. Justine is also the Czech Republic country representative in the European Network of Filipino Diaspora (ENFiD), an international networking association which provides solutions to issues and community problems among Filipinos in Europe. 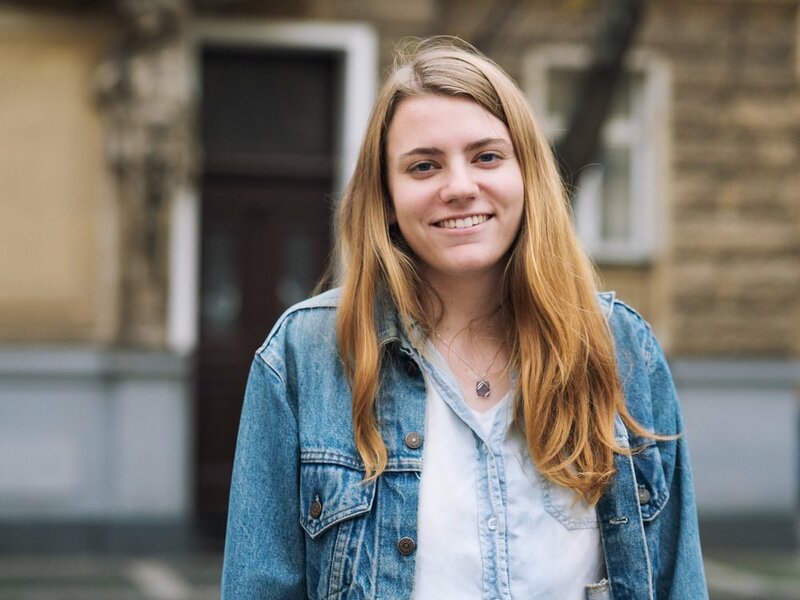 Justine is currently taking up her Master's in Internal Business and Central European Realities at the University of Economics, Prague and is also representing the university as a student ambassador. Originally from Wales, UK, Gwyneth is passionate about bringing psychology, politics, peace and environmental issues together. Gwyneth was the organiser of Global Youth Rising 2016, the first youth peace forum of its kind held in Romania and headed by the Peace Action Training and Research Institute of Romania, where she was working at the time as project manager, local event coordinator and researcher. Having graduated with a Masters in Applied Positive Psychology, Gwyneth led a seminar at the International Conference of Psychology Students in Romania in 2016 entitled “Psychology and Peacebuilding”, and after relocating to Prague she hosted several public lectures through WeUnify Czech Republic focusing on issues surrounding the refugee crisis and its portrayal in the media, so GoThink’s focus ties in perfectly with her desire to encourage critical thinking and media literacy in the population. Gwyneth is also involved with organising and hosting Sustainability Evenings in Prague, as well as discussion groups and workshops relating to a host of psychology topics. Heidi spent a various amount of her time into helping refugess in Hungary and the Balkan route in 2015 and 2016. She still collaborates with NGOs on helping bridge the information gap that many asslyum seekers have regarding the asslyum process in various European countries and an array of other topics. She works to help prevent misinformation and predjudices many others have regarding assylum seekers. research focused on unrecognized states and the role the media has on their state-building. Justyna joined GoThink Initiative this past March as a Research Assistant. Emilio Bellu has worked as a journalist since the early 00’s, covering media, technology, and the relationship between the two, for a range of Italian mainstream magazines and newspapers including L’Unità, La Nuova Sardegna, Sardinews and Players Magazine. He main focus is the way technology affects the way we communicate with each other, a topic he explored with interviews with authors and thinkers such as Bruce Sterling, Cory Doctorow and Yoshinori Ono. His work has also been published in two nationally published books. After moving to Prague, Czech Republic to pursue his passion for cinema, he has kept writing while also working as a filmmaker and photographer. His latest short film, Born of Stone, a documentary about the late Sardinian sculptor Pinuccio Sciola, is making the rounds in the international festival circuit, winning “Best Short Documentary” at the Berlin Short Film Festival. His passion for connecting cultures has involved him in being one of the organisers of Ichnusa Festival, an annual event that for 10 years connected the centre of Sardinia with the United States through seminars, concerts, lectures and classes. A Master’s degree student in International Relations and European Studies at the University of Trento (Italy), Fabio Parola is now finishing his studies at Metropolitan University Prague within a double degree program. During his bachelor in Sociology, he interned at the Trento bureau of Corriere della Sera, one of the most prestigious and widely read Italian newspapers, and started contributing right after. His interest in media and political communication traces back to his high school studies on Greek and Roman literature and philosophy: there he understood how good and bad words often make the difference not only between good and bad politics, but also between good and bad life. Thus, he felt an immediate appeal for the projects carried on by Go Think Initiative, whose blog he is now trying to manage at his best as editor-in-chief. He is an editor of Neun, a rather outspoken and desecrating webzine on culture, art and politics run by Italian university students. He is vice president of Club Alpbach Trentino, a non-profit organization providing scholarships to attend the European Forum Alpbach. Michal Kořan is Deputy Executive Director of Aspen Institute Central Europe. Previously he was a Senior Research Fellow at the Institute of International Relations based in Prague (Czech Republic) where he also acted as Deputy Director (2013 – 2016) and Head of Research (2009 – 2013). He is also an Assistant Professor at the Faculty of Social Sciences, Masaryk University in Brno, where he received his Ph.D. in 2008. He has devoted an important part of his professional life to building an open space for wide dialogue with the aim of bringing individuals, opinions and views closer. He is the lead-author of an annual book analyzing Czech foreign policy and founder and program chair of annual International Symposium - Czech Foreign Policy. He is the national co-coordinator of the Think Visegrad platform and Country Project Director of NATO Emerging Security Challenges Division Project: Resilience Capacity Building, as well as responsible for the Summer School of European Studies of the Diplomatic Academy of the Czech Ministry of Foreign Affairs. He has delivered speeches at Harvard University, Johns Hopkins University, Wilson Centre, Washington D. C., University of Pennsylvania, Polish Institute of International Affairs or the Diplomatic Academy, Wien. Michal regularly appears in national and international media. His academic texts has been published, among others, in journals European Security, Osteuropa, Perspectives, Journal of International Relations and Development and in publishing houses Palgrave, Routledge, as well as contributing to the book Does Democracy Matter, authoring a chapter. 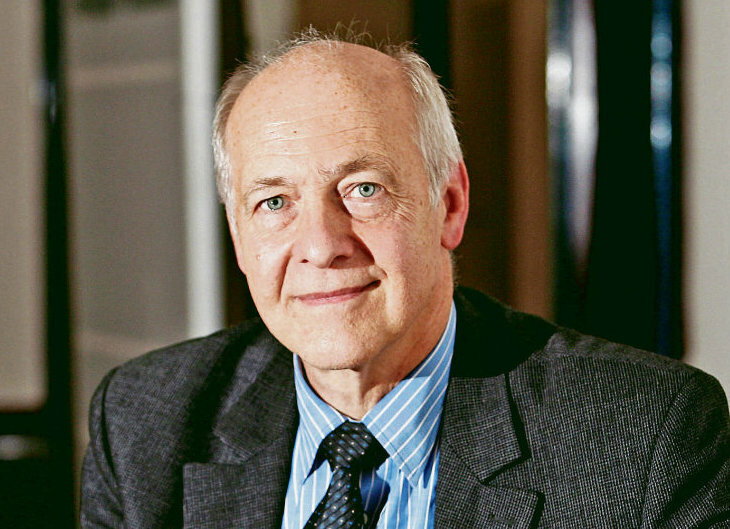 Jacques Rupnik is currently Director of Research at CERI and Professor at Sciences Po in Paris and visiting professor at the College of Europe in Bruges. Former research associate at the Russian Research Center, Harvard University (1974-1975), Eastern Europe analyst for the BBC World Service from 1977 to 1982. Executive director of the International Commission for the Balkans, Carnegie Endowment for International Peace (1995-1996) and drafter of its report Unfinished Peace (Carnegie, 1996) member of the Independent International Commission on Kosovo (1999-2000) and co-author of The Kosovo Report (Oxford UP, 2000). J.Rupnik has been an advisor to the President of the Czech Republic, Vaclav Havel (1990-1992) and continued to work with him after that. He is a member of the board of the Vaclav Havel presidential library in Prague. Among the various positions held: advisor to the European Commission 2007 - 2010, member of the board of the Institute for Historical Justice and Reconciliation in The Hague since 2010, member of the board of directors of the European Partnership for Democracy in Brussels (2008-2013). Member of the Research Council of the International Forum for Democracy Studies in Washington (since 2013). He has been a visiting Professor in the Department of Government, Harvard University (2006) and at the Center for European Studies (2011) at Harvard . J.Rupnik has published a number of books and scholarly articles including The Other Europe (London, 1989, translated in a dozen of languages and a companion volume to a six hour documentary film on postwar Eastern Europe for British television). Tony Curzon Price is editor, previously editor-in-chief of openDemocracy.net, the leading global democracy and human rights commentary and analysis publication. He received a PhD in economics from University College London and a first class degree from Oxford University in Politics, Philosophy and Economics. He has lectured on economics and energy policy at Imperial College, London and at the Ecole Polytechnique Fédérale in Lausanne. He blogs at tony.curzon.com, and contributes to The Spectator regularly. He founded a high-tech electronics company, Arithmatica, in 1998 and lived in Silicon Valley from 2001 to 2004. He has lectured on economics and energy policy at Imperial College, London, and at the École Polytechnique Fédérale de Lausanne (EPFL). He is currently Economic advisor to the Secretary of State, Department of Business, Energy and Industrial Strategy in the UK. Taylor is currently pursuing a BA in Applied Psychology with a minor in Creative Writing at New York University. She is spending the fall studying at NYU’s satellite campus in Prague and interning with Go Think Initiative. She will be continuing her work with Go Think Initiative in the spring through a remote work placement in New York. She is interested in equity in education, and has spent free time volunteering with Peer Health Exchange, an organisation that coordinates public health education workshops for high school students in cities across America. She is also passionate about writing and hopes to make a career out of it in the future. Luisina is a motion graphic designer from Argentina. She has a degree in Design in Visual Communication from the National University of La Plata, with a specialisation in Cinema Animation. For more than 10 years she has worked in various areas of postproduction and art direction for film, television and social media content, creating graphic design, illustration and animation for institutional spots, documentaries and movies. She is mainly developing audiovisual content oriented to NGOs and social movements, around South America and recently in Europe. Luisina collaborated in the creation of the visual identity of Go Think Initiative, developing graphics and videos for events and social media for the project. Annika is a third year student at the University of Colorado, Boulder where she is studying Public Relations and Sociology. 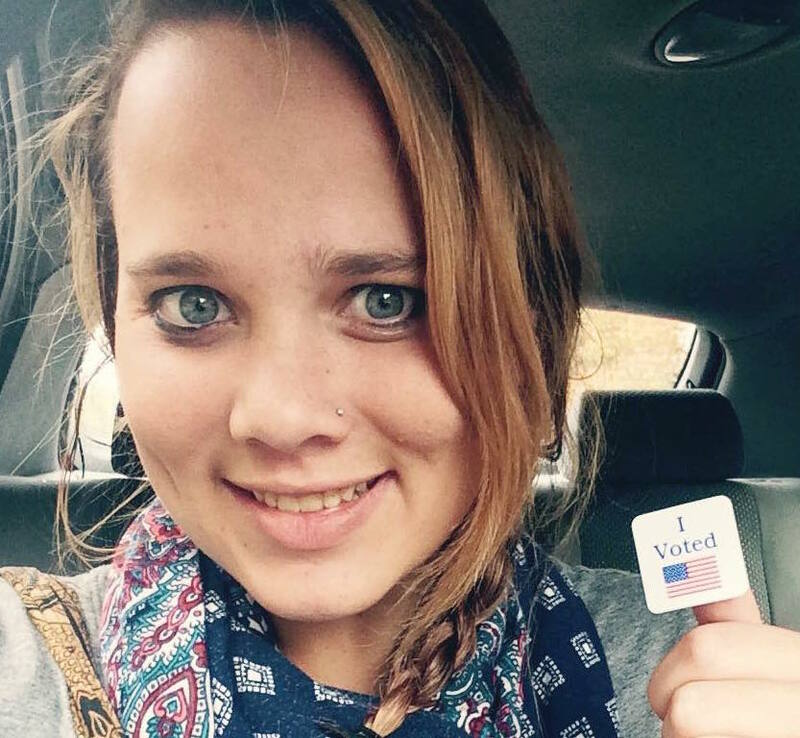 Currently, she is spending the spring semester studying and interning in Prague. She has experience working for PR companies in San Francisco and volunteering for organizations such as the YMCA. She has a passion for traveling and has hopes of applying her worldly experiences to her professional career. Eric is a third year student at the George Washington University in Washington, DC, where he is studying Political Communication and Philosophy. He has been enjoying studying and living in Prague, as well as interning at GoThink Initiative since January. He has experience working for PR companies in Washington, DC and leading international service trips throughout Central America focused on sustainability and development. He has a passion for story-telling and exploring different cultures to expand his understanding of the world. Emma is an MBA student specializing in Event Management and Communication. After studying for three years in Lyon, France, she moved to the USA where she graduated with a Bachelor in Communication Arts from the New York Institute of Technology. During the past five years, she had the opportunity to intern as an Event/Communication assistant in the UK, US and France. She is really curious about the world around her and how society is evolving. Emma will be interning at Go Think Initiative until the end of October.